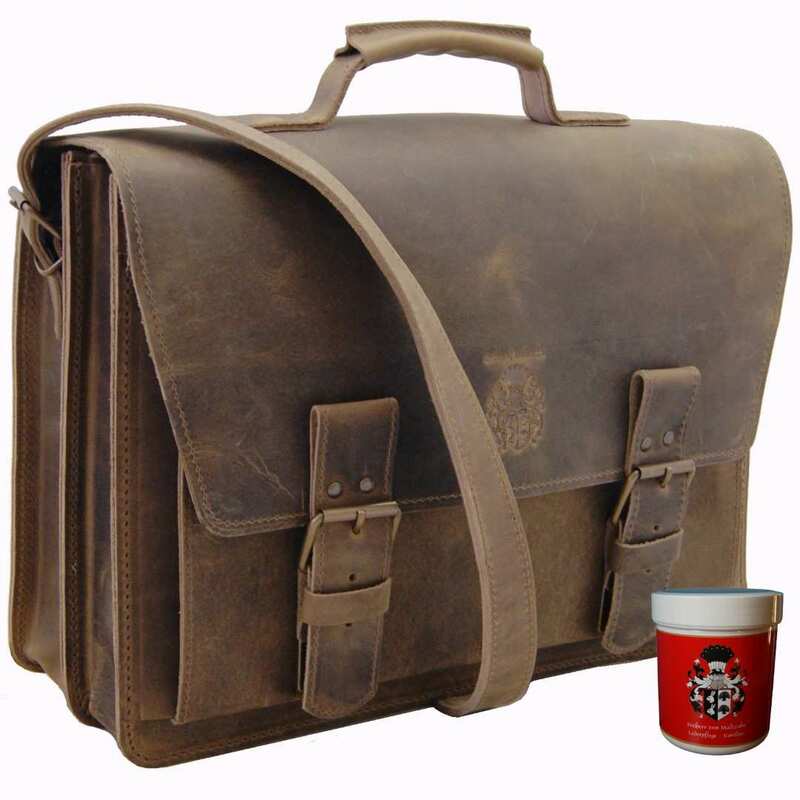 Product information "Briefcase HERTZ old-antique brown leather"
The briefcase HEINRICH HERTZ made of old-antique brown organic leather is a functional companion in your daily life that captivates by its singularity and its always trendy style. Do you love things that irradiate a special aura? 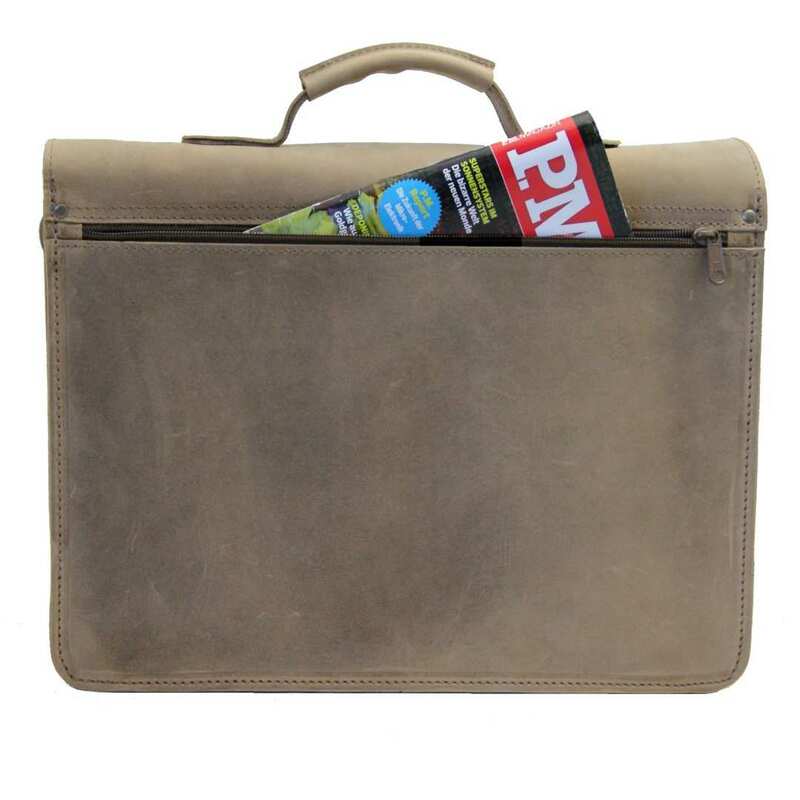 In this case the briefcase HERTZ of old-antique brown organic leather is the right business bag for you! This handy helper consists of high quality, smooth leather that will tell the story of your life within some time: by using this business bag, some new colour shades will appear and make your bag absolutely personal and unique. The briefcase HERTZ made of old-antique brown organic leather offers you much storing room for file folders, books, catalogues and a laptop thanks to its many compartments. Important documents can be kept safe in the extra zippered compartment and also a little pocket for your smartphone is available. 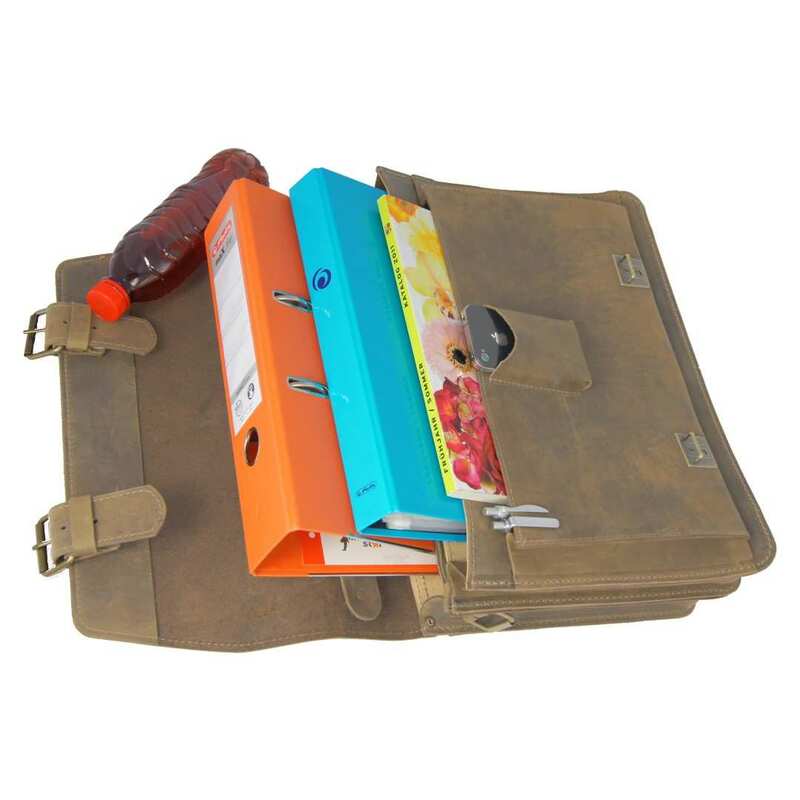 This way, you can carry every necessary item for your work or classes at college with you. 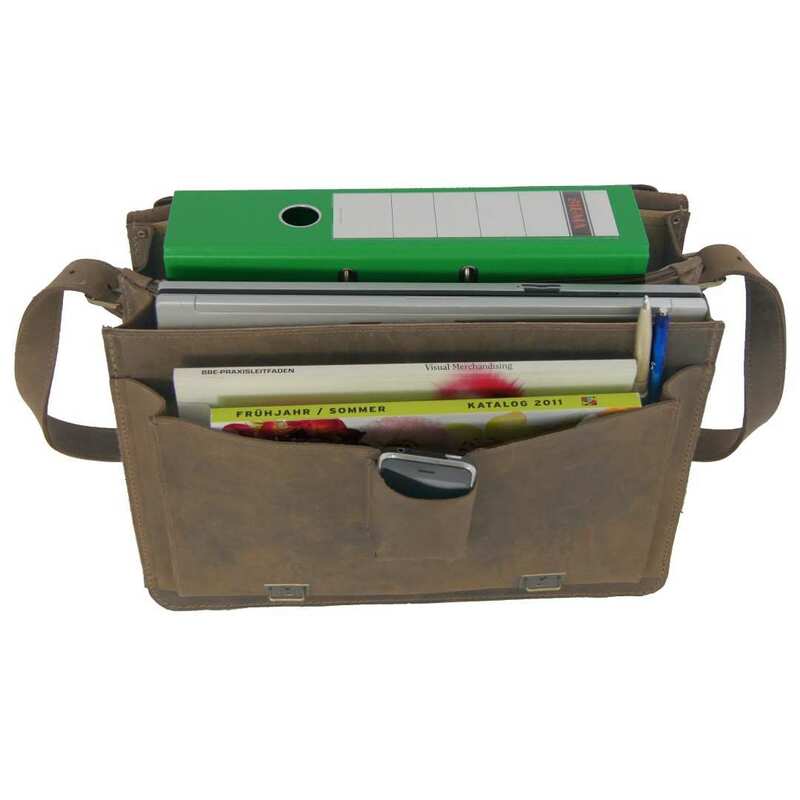 You can easily and safely transport thick books and bulky file folders or portfolios in your briefcase HERTZ made of old-antique brown organic leather. Lay the shoulder strap in a casual way over your shoulder; due to the wide and soft shoulder pad – included with the business bag – that will be the best option! This small detail will help you by protecting your jackets and coats from the frequent inconvenient traces of usage. 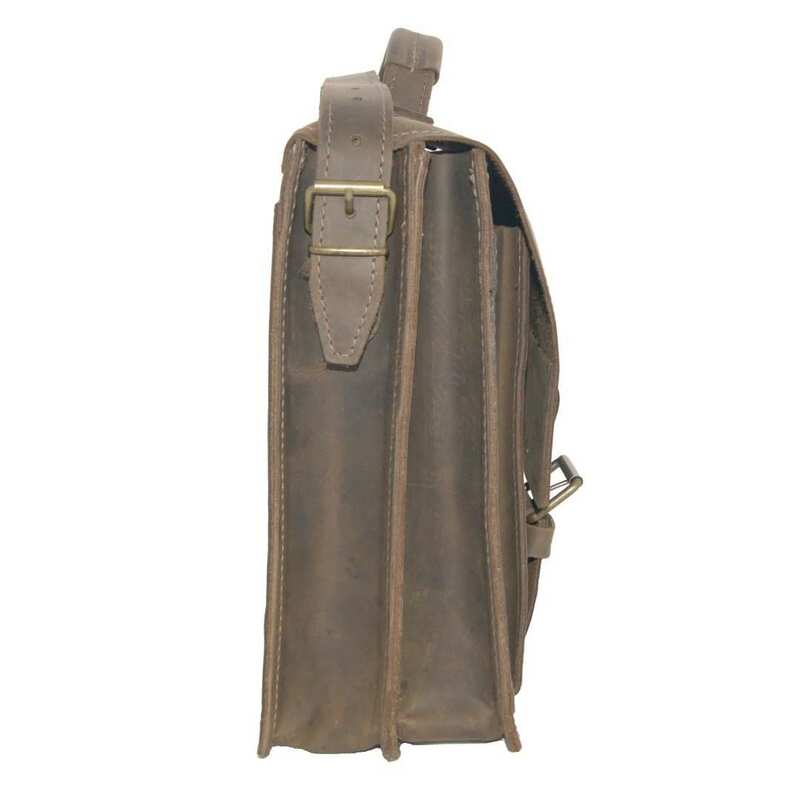 This business bag consists of high grade, vegetable tanned organic bovine leather of 2.7 mm thickness. The material has been lovingly dyed and greased by hand in Saxony, therefore you are carrying a unique product made in Germany - with all the advantages this concept brings with. In this business bag you will find five different compartments: two big ones and an extra zippered one on the inside, a small pocket for the smartphone and another big front pocket on the outside of the bag. 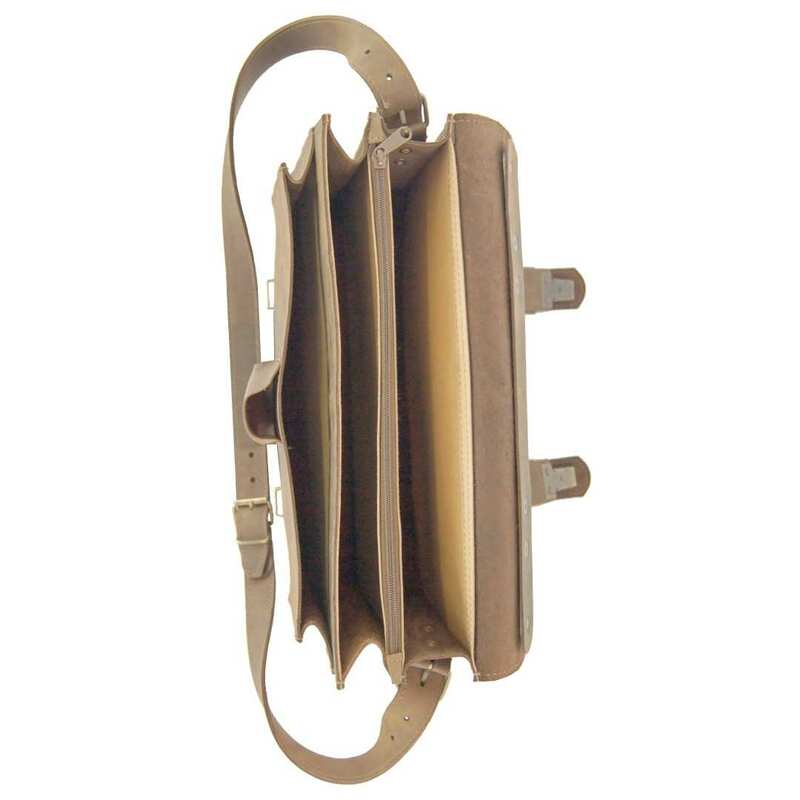 The total size of the briefcase is 15.7 x 11.4 x 4.7 in (40x29x12 cm). This is an article of the fine and noble Collection: BARON of MALTZAHN designed in Germany. Order now and enjoy the fantastic and beautiful spaciousness! With the delivery of this article you will also receive a free can of leather care. Reviews for "Briefcase HERTZ old-antique brown leather"